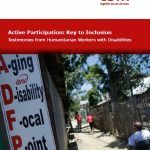 Despite focusing on how persons with disabilities are being excluded from many humanitarian responses, this document provide perspectives from first-hand account of humanitarian workers with disabilities. 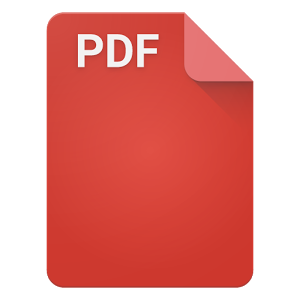 This document is published by CBM International in collaboration with the International Disability Alliance (IDA). 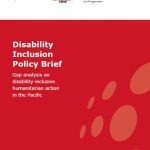 Published by CBM International and Pacific Disability Forum (PDF), this policy brief presents findings from a gap analysis of disability-inclusive emergency response in the Pacific. Developed by Arbeiter-Samariter-Bund (ASB) Indonesia and the Philippines, this resource guide is an introduction to the Washington Group Short Set of Questions on Disability and how these questions may be used in disaster risk reduction (DRR).